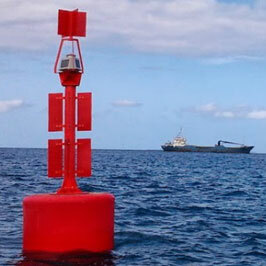 Remote surveillance device for the maritime environment. The Observant WATCH is a 360° surveillance camera designed specifically to cope with the arduous challenges of the maritime environment. With stainless steel fittings and fixtures and specially coated housing the camera is able to withstand salt sea spray for extended periods without maintenance. A low power system, the camera can be charged and run using standard solar panels . The on-board SOC enables shore to ship (or buoy) remote management and the use of video analytics to automate the alarming and reporting on specified activities within fields of interest. Although compatible with in-line or mechanical (gyro) stabilisation, WATCH's extended FOV means that it is far more effective that conventional cameras in typical sea states.